With your busy life and the various chores that you need to do to keep your house running, you may not always find the time to keep your home looking spotless and clean as you would like it to be. Having a full time maid to look after your home and keep it nice and clean may not be an option for you,but you could always hire a cleaning service to regularly clean your home and get it spotless and clean the way you would like it to be. There are many cleaning companies out there but how do you know which one of those will clean your home the way you want. Allure Carpet Cleaning Union is a cleaning service that does a lot more than clean carpets and its professional service can get your home clean and spotless just the way you would want it to be. Besides being very professional in their approach to cleaning your home they are very reasonable in their pricing. Allure employs trained and certified staff who know all about carpet cleaning and how to get the job done right. When you hire Allure to clean your carpets you will find that they use only the best equipment and green cleaners which remove all the hidden dirt and the tough stains from your carpets. The staff is well trained in treating all types of carpets both with natural fibers as well as those with synthetic fibers. For Allure no job is too big or too small whether it is commercial or residential. Many homes and commercial places have wooden or tiled floors, area rugs are used on these floors to enhance the atmosphere and break up the monotony of the floors. These area rugs do get dirty and need to be cleaned from time to time. Allure Carpet Cleaning offers two types of services when it comes to cleaning these area rugs, they can have their staff come over and clean the rugs or they can pick up the rugs and clean them at their facility. You only pay for the cleaning the pick up and delivery is free. Whether it is in your home or business premise the upholstery on your chairs and sofas does get dirty over time and use and this needs to be cleaned. With the different materials that are used to upholster the chairs and sofas, it can get quite difficult for you to know how to get them clean by yourself. 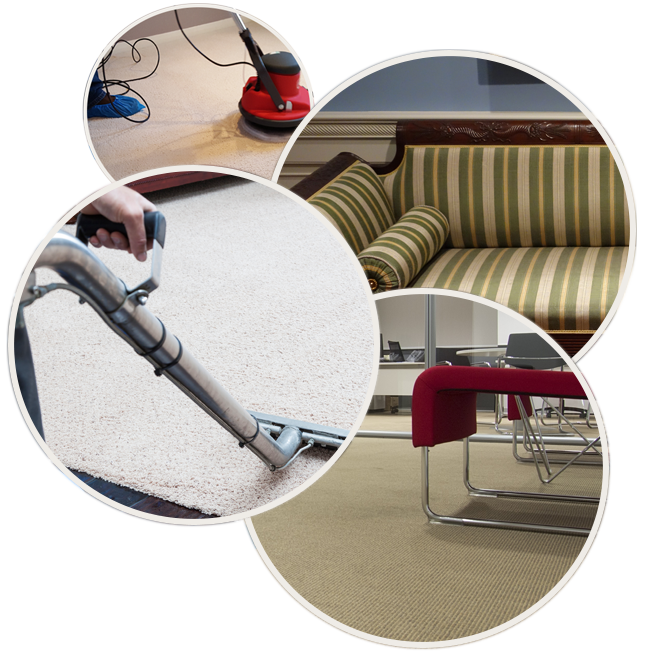 Allure Carpet Cleaning has the trained staff that knows hoe to clean the different upholstery material. They are trained to use the right cleaning solution so that your sofas and chairs are left not only looking clean but also smelling fresh. Water damage to your home or business premises if left untreated could not only cost you a lot of money through damage to your property but it could also be harmful to your health as it causes mold and bacteria to grow. Allure Carpet Cleaning knows how important it is for you to deal with any water damage as quickly and effectively so that you do not suffer a great monetary loos in the future. They have a service that is open to you 24/7 with staff that is trained to deal with all problems that can crop up due to water damage. No matter what time of the day or night it is they will respond to your call immediately and not only will they repair and clean up the damage but will see that your premises are restored to the best conditions that they can. Along with the above services Allure Carpet Cleaning can also provide you with services like duct cleaning, mold and mildew removal and its treatment, pet stain and odor removal, stain removal, sofa and mattress cleaning. They can provide you with almost all the services you may need to get your home spotless and clean. What makes Allure the perfect cleaning service for you ? Allure Carpet Cleaning has a staff that is not only well trained but they also enjoy the work that they do. This means that when you hire Allure to do a job you get a professional staff that not only does a good job but do it with pride and care. The staff is not only trained but also licensed and insured and certified by the Institute of Inspection, Cleaning and Restoration as well as the Restoration Science Academy. Allure believes in using the latest equipment and green organic cleaners to clean your home so there is no harmful residue left behind after they are done with the cleaning. Allure also has its service open for extended hours from 8.00 am to 8.00 pm to make it convenient for you to use their service. They also offer same day service in case you have a break in your schedule or need emergency service. Allure believes in charging its customers a very reasonable rate so that their service is affordable to everyone. Allure Carpet Cleaning has a website at www.allurecarpetcleaning.com which you can visit to get more information about any and all the services that they can provide you with. You can also call them at 1-732-301-6555 and speak to a representative who would be only too glad to answer all your questions. They would also be able to assist you with an appointment for a fee consultation or even making a cleaning appointment.